As a long time fan of Bape, and a frequent customer at their NYC store (in 2006 I was known to go several times a week), I was a bit disappointed to read the report on hypebeast that the A Bathing Ape retail store in SoHo would be closing its doors at the end of July, 2011. Cue fact checking. It turns out that although there is a lease renewal issue that has yet to be 100% resolved, there is no concrete evidence that the store will be closing and definitely not at the end of the month. Thanks for the emotional roller coaster hypebeast, but you're wrong... at least for now. We should have more information in the coming months as IT is still figuring out what to do with the NYC location. 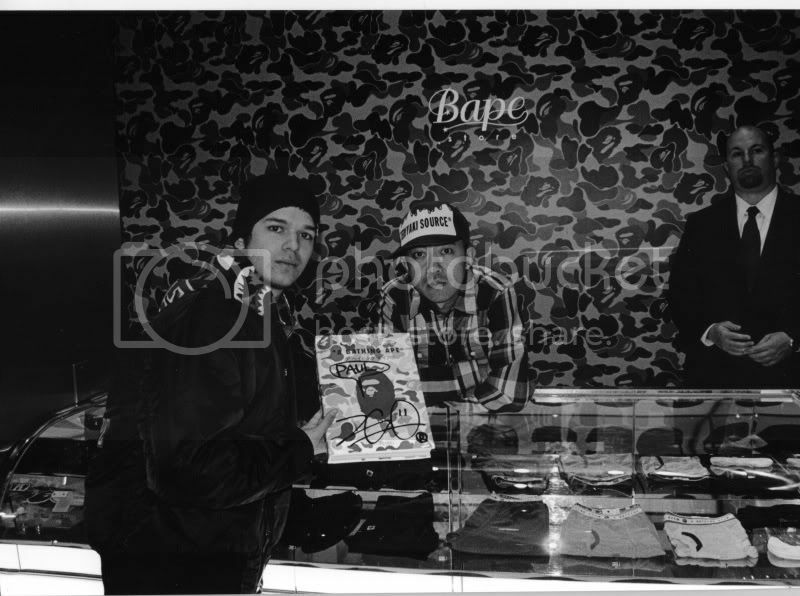 Pic related: Me with Nigo at Bape NYC in 2008.